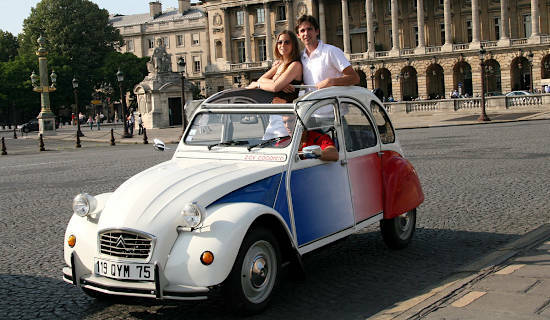 Paris 2CV private Tours - An unforgettable experience ! 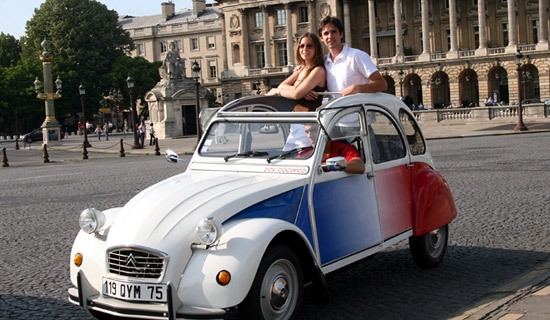 Go through a wonderful experience with the famous French car : the 2CV ! 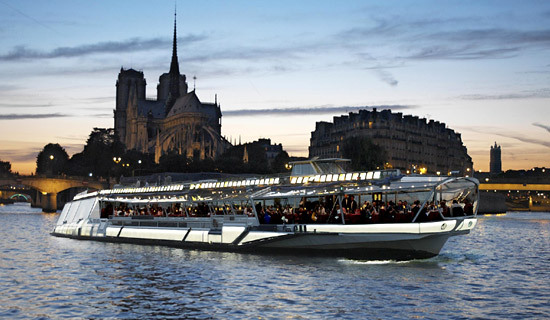 Visit Paris by 2CV, visit Paris by day, visit Paris by night, ... France Tourisme offers you private city tours by 2CV to discover the best of Paris. 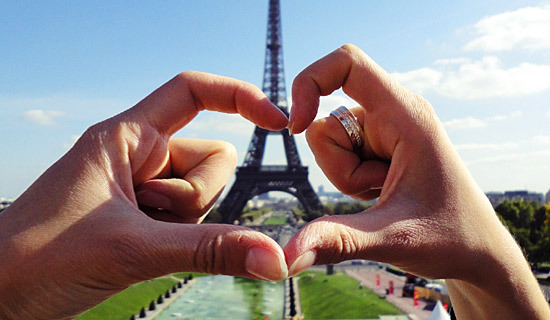 In a cosy and friendly atmosphere, you will see suburbs and monuments which contribute to Paris reputation. 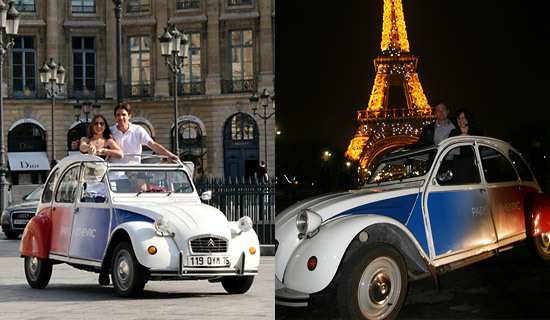 All Paris tours by 2CV include pick up and drop off inside Paris. 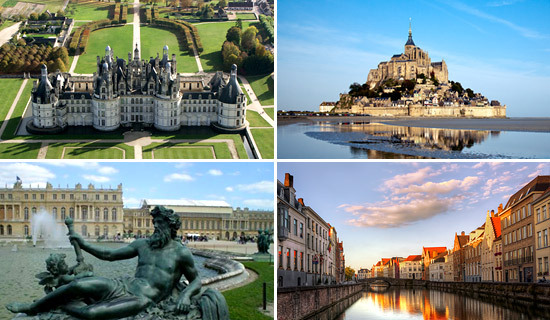 Choose the tour by 2CV the most suitable for you ! 1H TOUR. 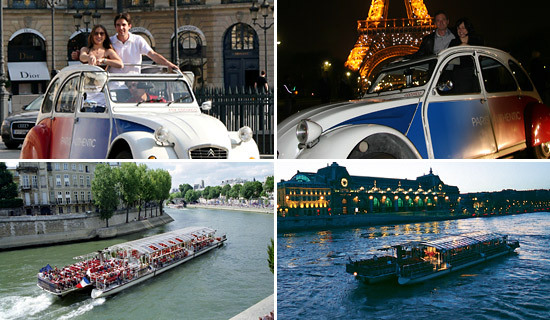 Discover the charm of Paris, by day or by night, on board of the mytical Citroen 2CV ! 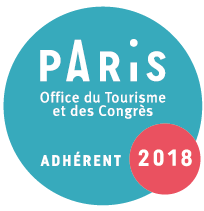 This guided tour includes the pick up and the drop off anywhere inside Paris, and you'll the the essentiel of the french capital. 1H TOUR. 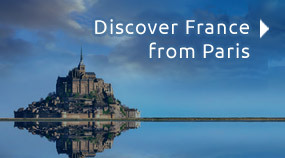 Our main objective : making you discover the charming village of Montmartre... Enjoy a cosy tour through Montmartre narrow and authenthic lanes by 2CV. 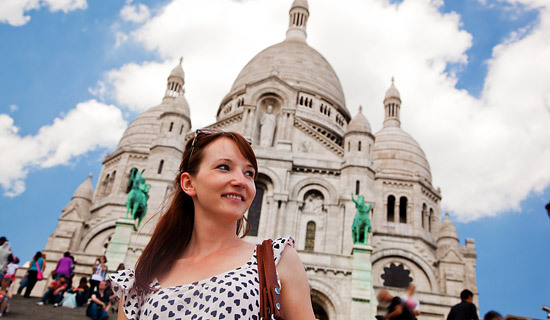 Take your time to visit Montmartre! 2H TOUR. 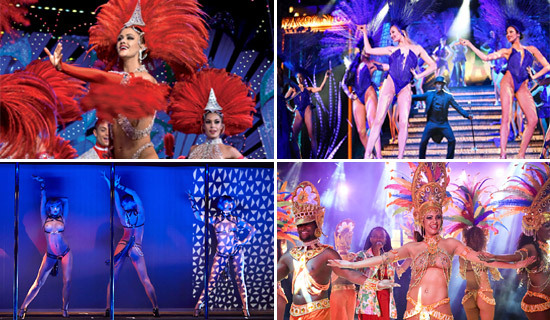 "Paris by night" and its monuments : Paris, city of light, is shining at nightfall. 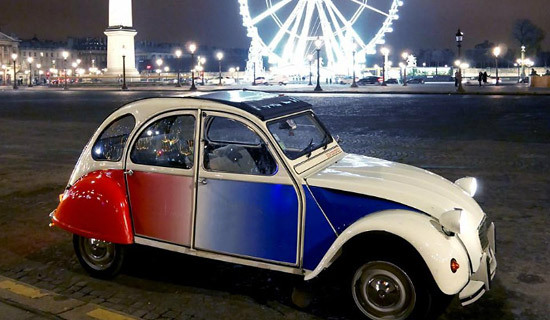 Discover Paris illuminations with the legendary French car : the 2CV. 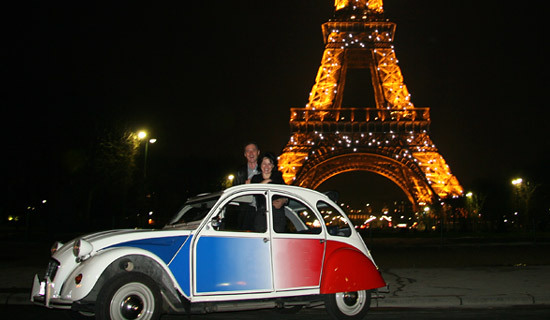 Enjoy a 2CV night tour in Paris !No doubt about it...the most touching time on your Parisian stay!